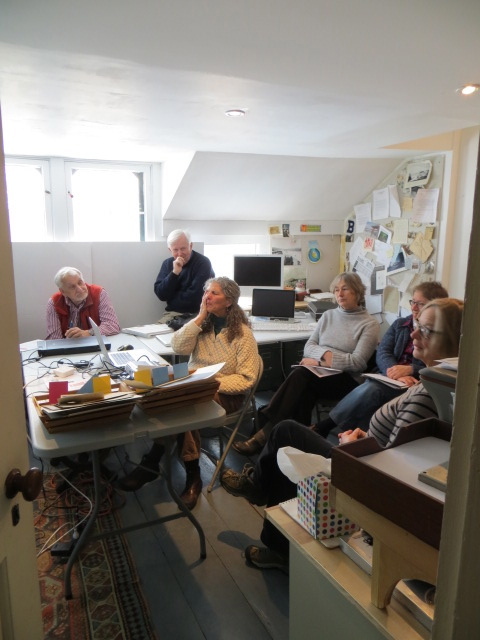 Five volunteers and 4 staff gathered for a training to learn how to create an online exhibit about the Vaughan Homestead through the Maine Memory Network. This grant-funded project will enable us to enter photos and texts from our collections into Maine Memory Network’s digital database, making them accessible to the general public. Volunteer training and duties will include scanning documents and photos, photographing objects, and writing short descriptions of each piece. Keep your eyes open for a link to our exhibit in the coming months.